instituted a Social Membership category at the HP Golf Clubhouse. 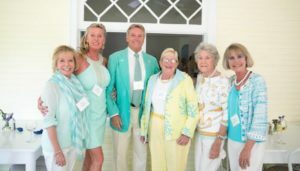 This was intended to provide an opportunity for Harbor Point resident’s non-golfing friends to enjoy the camaraderie of the Clubhouse and the various events held there. as well as all Harbor Point residents, are considered Social Members. Pro Shop each of you to enliven our club and promote not only Golf Membership, but Social Membership, too. The more the merrier! The Social Membership fee is $500 per season. The Social Member may enjoy lunch at the Club, participate in Bridge, attend Summer Suppers with their guests and rent the Clubhouse if desired.